DWRE will consult with each client about the best property and location to purchase. We draw on our 20 years of knowledge about the Metro Charlotte Real Estate Market which exceeds any information gained on a Zillow Type Digital Platform. 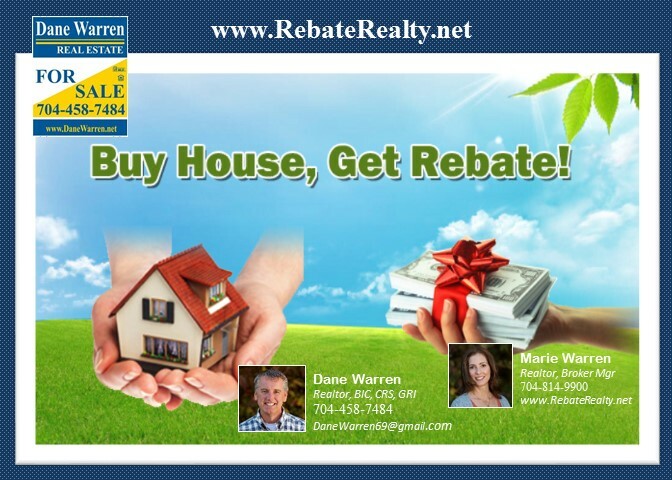 Note: All Rebates are based upon 3% Commission being paid to Dane Warren Real Estate. Should you choose John Smith with Movement Mortgage as your lender we will increase your Rebate 1/4% (.25%) in addition to the percentages shown above.